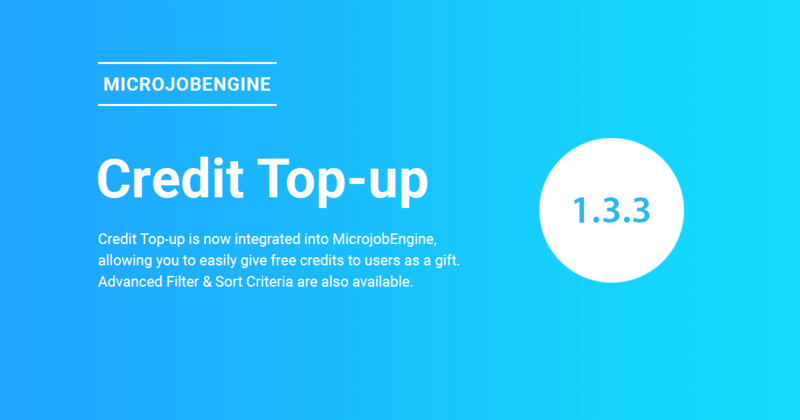 Credit Top-up is a new feature of MicrojobEngine theme, allowing you to edit user’s fund. 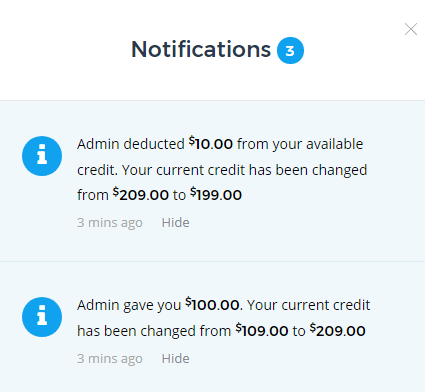 With this feature, you can easily add or even deduct the available credits of any users on your site whenever you want. A particular example is to give credits to your users as a gift in case of promotion or events. 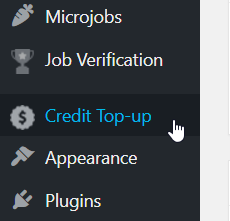 After you site is updated to MicrojobEngine 1.3.3, the Credit Top-up section will automatically appear on the left sidebar menu of the admin dashboard. All members who are active on your site are listed in this section so that you are able to quickly edit their available credit. Besides, you can view the changelog that records all changes involved in credit top-up with detailed information such as date & time, amount, and message from your admin dashboard. Previously, when you enter a keyword to search mJobs, you would be redirected to the search page in which you can only filter these mJobs available by categories and tags. 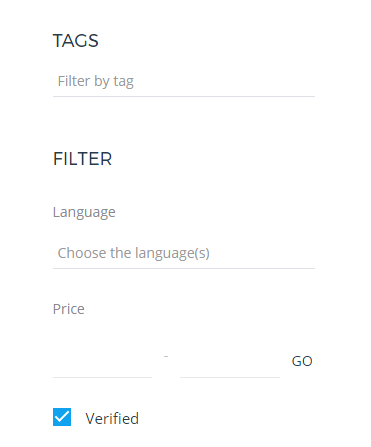 But now, you are able to search mJobs with more filter elements such as filter by language, price, or verified mJobs. Obviously, the search result will be much more exact and help you save a lot of time. Also, you can sort available mJobs by the newest, oldest, highest ratings, etc. Please note that, after your site is updated to MicrojobEngine 1.3.3, you MUST update the database so that the search function can work seamlessly. P/s: If you created the page whose template is Update Data before, you can skip this step. Then, click the Update button to update the database. 1. PayPal payment as DRAFT in back-end (PHP7). 2. Category problems (Main and Sub categories) that cause mJobs not to be shown (PHP7). 3. Display problems on the Order Received page (PHP7). 4. Pending mJob (not DRAFT) when you proceed the payment by Cash method (PHP7). 5. Some front-end issues after updating PHP7. Above are all about improvements in MicrojobEngine 1.3.3. If you have any questions, please contact us via support@enginethemes.com. We’re happy to answer you. 1. The “Sort By” function doesn’t work properly. And I updated the Database before testing the “Sort By” function. 2. Each time I make a selection, the outcome shows something different. 3. 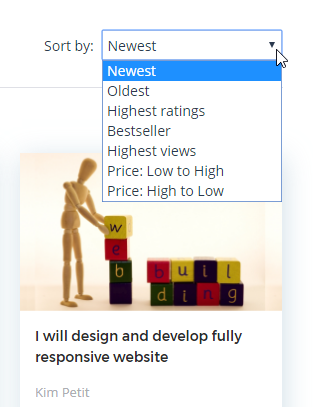 The “Price” filter does not also appear as reflected on your website. On mine it is displayed Vertically while it is Horizontal on yours. 4. I also noticed that the “From” text on each Mjob post has been replaced by the View icon and a number (0). Please can you also tell me how to edit the “MJOBS AVAILABLE” text that shows when you do a search? I have searched for this under “Translation” but couldn’t find anything to edit. “Your account doesn’t have any active subscription with any products. I was logged in to the correct account and there’s no expiration of any previous purchases. And why haven’t you guys responded to the email I sent to support@enginethemes.com which I also copied Dan and Phat in? It’s almost a week now. This is beyond ridiculous! Could you tell us what theme you want to be supported so that we can check our system? It’s the MjE theme. And how about you guys responding to emails? I’ve checked your account and found that MicrojobeEngine is available on your account. However, could you send us the login information, including your username & password via email contact@enginethemes.com so that we can check again? your No.4 I believe the from has been removed. what you now have there is a listing view counter. I have realised that it was actually a Chrome issue as I tried using the “Sort By” function in Explorer and it worked fine. The “Price” range function is also displayed well now. Surprisingly, Chrome is fine now as the above issues are functioning well after an update on my system took place. I have sent an email to Phat and Dan using the support@enginethemes.com address. Will this suffice? Thank you very much for releasing new version of MJE, some feature has been added that is really great. I would like to add one more feature like ( User Oline, Offline status) this could be really help to conversion of real time customer identification. In the mobile view Filter function doesn’t work. When select a category and hit blue GO button nothing happens. Similarly if you pick oldest and hit GO, nothing happens. Hi thanks for the update. How can users delete their account if they decide not to have an account anymore. And please please introduce an online/offline feature for users. I’m waiting to buy this theme until is complete compatible with PHP7. 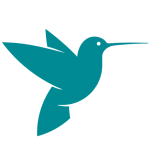 Our theme will be compatible with PHP7 in the next version. We will announce you once our new version is available. Also I read that 2CheckOut can only be used for selling package to post mJobs in your marketplace and is not available when users order mJobs.. I dont quite understand “selling package to post mJobs” Does this mean that both buyers and sellers are not allowed to use 2Checkout or just the sellers? Regarding your question, your users cannot check out via 2Checkout when ordering an mJob since 2CheckOut prohibits selling Products/Services as an Agent for a Third Party (https://www.2checkout.com/policies/prohibited-product-list/). That’s why this payment gateway can only be used for selling package to post mJobs in your marketplace. In other words, the buyer on your site cannot check out via 2CO. 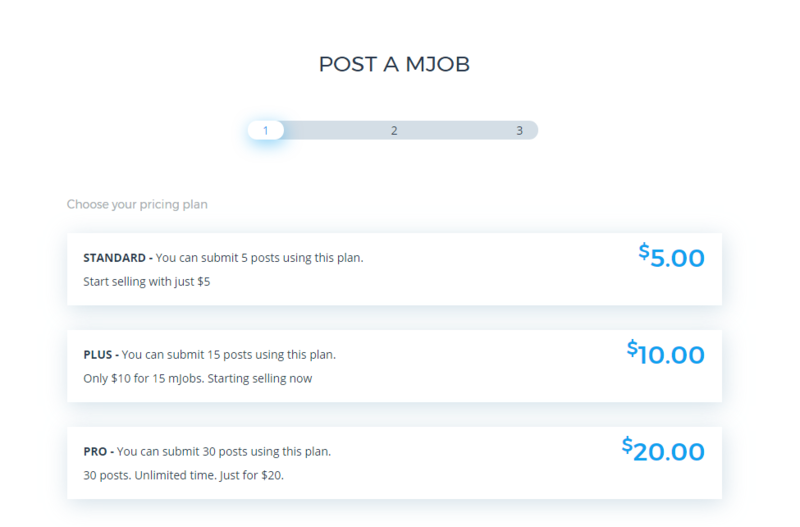 About “selling package to post mJobs”, it means that sellers are allowed to check out via 2CO when they purchase the package to post their mJob on your site (http://i.imgur.com/Jux0kI2.png). Hi just bought this theme but my website’s completely broken. The theme is not gelling with wordpress at all. Pre sale question. I would like to translate it completely to spanish, is it possible or it has certain parts that won’t be able to translate? You can translate the entire site to Spanish. Go to Translation section in backend and you’ll see text strings for translation.